You can imagine my surprise when I saw a second Zambian shirt come onto the market. I was certain that the Nkana shirt was going to be my one and only Zambian shirt. But here we are. The shirt is not too dissimilar to the Nkana one. It's made by the same manufacturer and follows the same design template. This one is a bit more plain than the other but it's still appealing to the eye. My only suggestion for this shirt would be lowering the position of the sponsor, if ever so slightly. Other than that, this is a very cool and unique club football shirt. 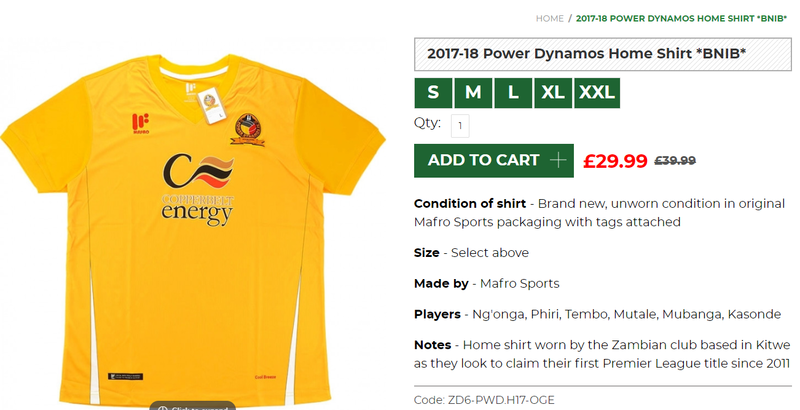 Power Dynamos is known for playing beautiful passing football and their matches are usually enjoyed by the Zambian Premier League fans. Their main rivals are Nkana FC and Zesco United FC. Games involving Power Dynamos and any of these two clubs are always highly attended by the soccer fans.